my sweet potato and apple soup. I love these old soup bowls. I saved a piece for you! Perfectly delicious! And that's just the dishes I'm talking about! Haha! Beautiful! Hope you're enjoying fall at your wonderful place. 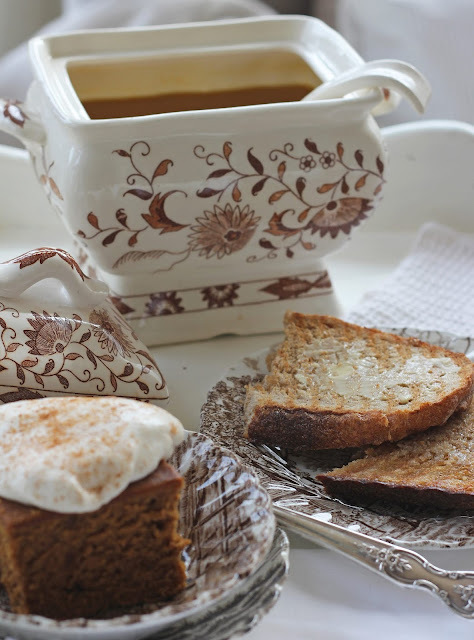 Your lunch looks and sounds delicious and how sweet to have a small one-serving soup tureen! Carolyn, such a beautiful post! I feel as if I've just gone out for lunch! 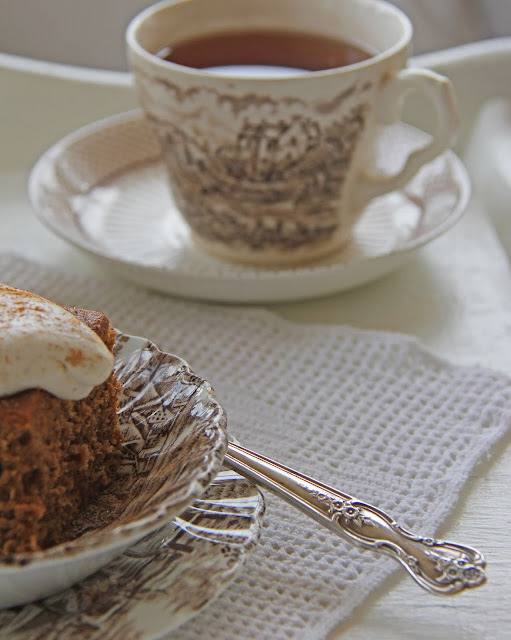 That brown transferware just matches the gingerbread cake! I really want some of that... it looks so good! It all looks so very lovely as usual. 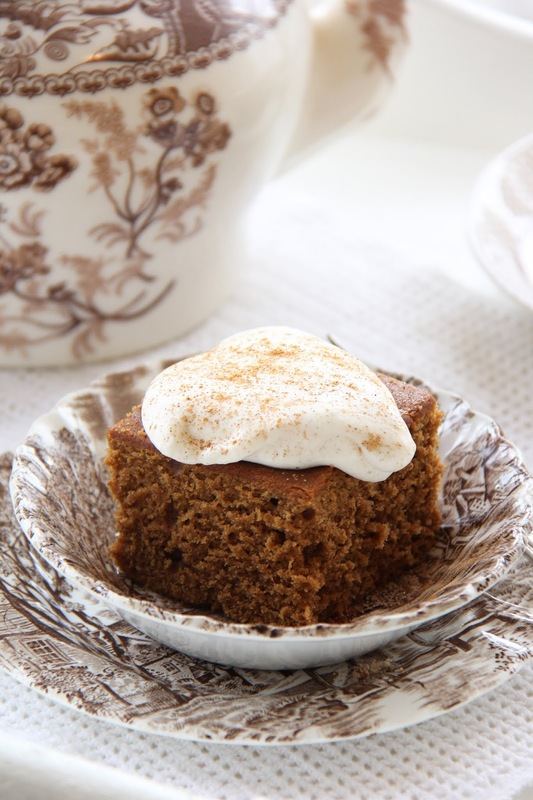 I'm in the mood for gingerbread and pumpkin pie! Mmmmm........what a smell from your lunch! 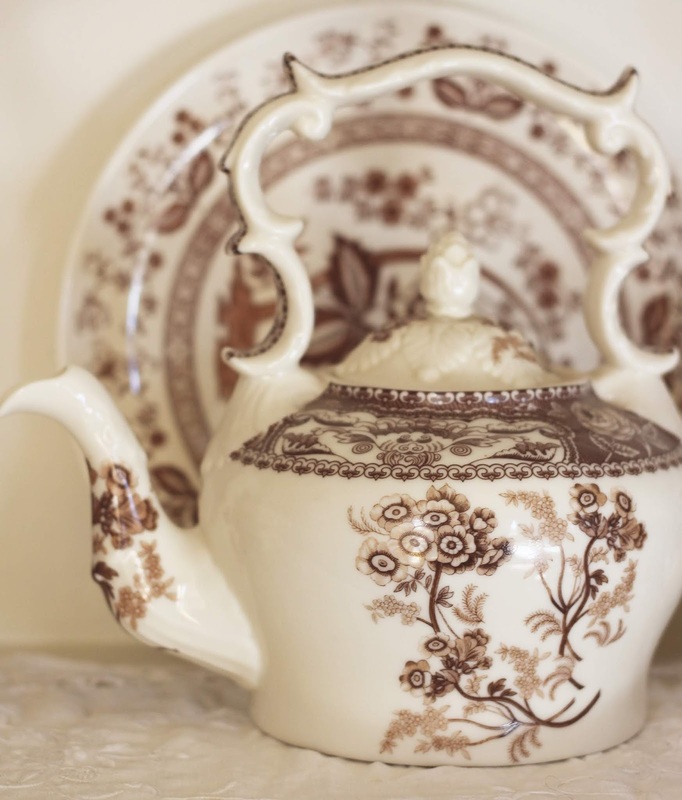 I've always loved your beautiful collection of transferware Carolyn! Such a beautiful post! 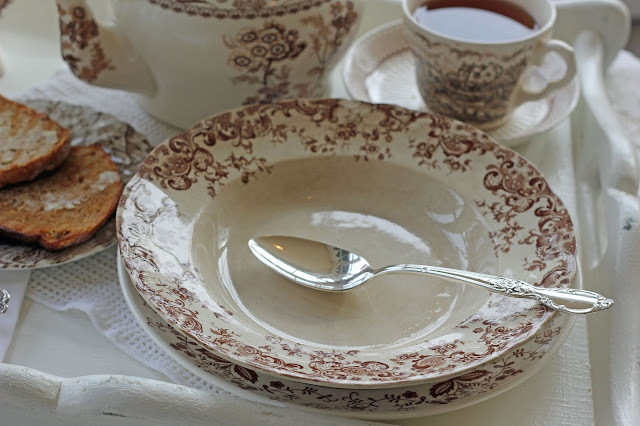 Your lunch looks so yummy, especially in that lovely brown transferware. I once had a teapot by Skye McGhie in a white polka dot design. I was so disappointed when I bumped it against the sink and after than it started to leak. I'm glad you saved a piece of gingerbread for us.